The main concern, officials point out, is that a majority of the anganwadi centres are spaces that are rented spaces and the budget assigned for the rent is meagre. HYDERABAD: The children of Telangana, spending their formative years in the 35,634 anganwadis across State, are forced to either defecate out in the open or rush to neighbouring homes with toilets to relieve themselves, as government data reveals that approximately 68 per cent of them have non-functional loos. 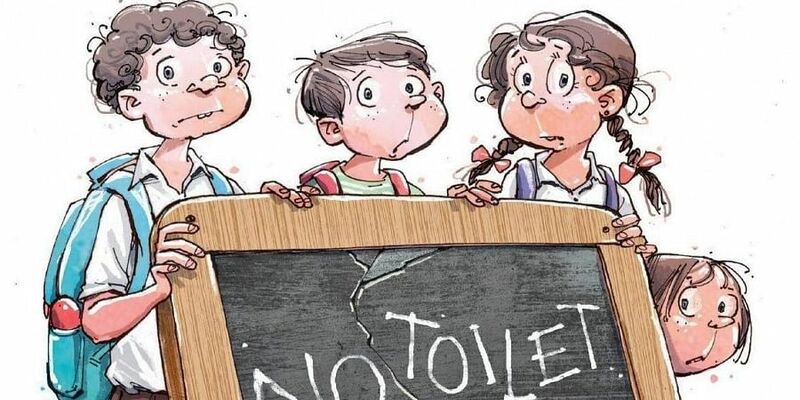 Out of the total 35,634 anganwadis operating in the State, only 14,955 anganwadis have toilets, according to the data presented to a query in the Lok Sabha during its session that concluded last month. “We usually form an informal pact with the locals in letting the children use the toilets in their households. Since it is a community-based setup, this works for us as the children are usually from the same neighbourhood,” said an Anganwadi teacher from Khairatabad. However, this need not work out well all the time. The supervisor of a cluster of anganwadis noted that many times when community members refused to let the children use their toilets, intervention of senior officials was required. “If the anganwadi is located in a government building, there are no issues. However, if it is in a space that has been rented out, then we would have to ask the owner of the property to allow us to use their personal toilet. We have had instances when they refused to let the kids use their toilets and as a result we have had to write to officials to help us in sensitizing them or others in the neighbourhood,” said a supervisor. The main concern, officials point out, is that a majority of the anganwadi centres are spaces that are rented spaces and the budget assigned for the rent is meagre. As per officials records, over 21,886 anganwadis operate out of rented spaces, and while some of them are common buildings managed by the panchayat, many are run out of homes of a local person. “We can only pay a maximum of Rs 5000 as rent, and most often, the properties we get in a locality with a toilet costs more than that,” added the Anganwadi supervisor. Many of these rented spaces were also Kaccha structures, added sources. Rules say that the rents for spaces in rural areas can be up to Rs 750, for those in municipalities up to `3,000, and for those in metros up to Rs 5,000. The officials of the Department of Women Development and Child Welfare, meanwhile, said that they were helpless in the matter and that the intervention of Swachh Bharat Abhiyan officials was imperative.